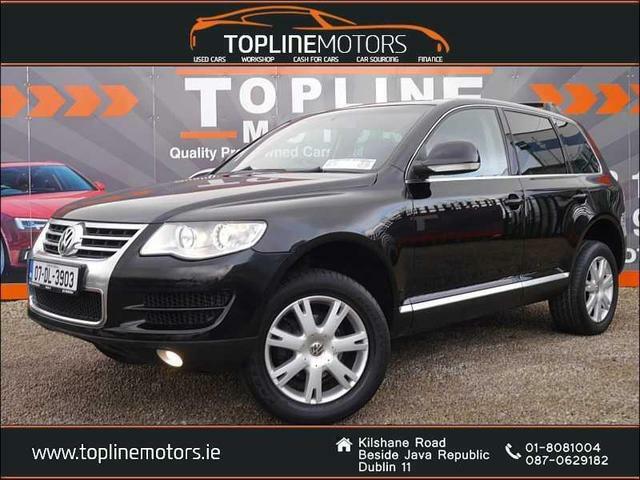 The Touareg is one of the only 4x4s that performs as well off road as it does on the road. It has been really popular since its release in 2003. This is down to the fact that you’re getting an SUV very similar to the brilliant BMW X5 in terms of practicality and performance for a much better price than most other 4x4s in this segment. Not only that, but there’s tonnes of kit as standard, and even the oldest model, which will be 11 years old this year, still doesn’t look outdated. Practicality levels are extremely high; there are acres of space in the cabin with lots of storage cubbies throughout, and the boot is huge. The rear seats fold flat to the floor, giving it enough space to compete with some vans. To drive, it is an excellent all-rounder. It’s a highly competent, strong off-roader, and a smooth, robust on-roader. It feels surprisingly agile, and the suspension is excellent. This, coupled with well-weighted steering, and good handling, makes it fun to drive.